We couldn’t be more excited about all the amazing work and events that Lava Girl Surf have thrown to empower and educate New York’s women’s surfing community this past year. 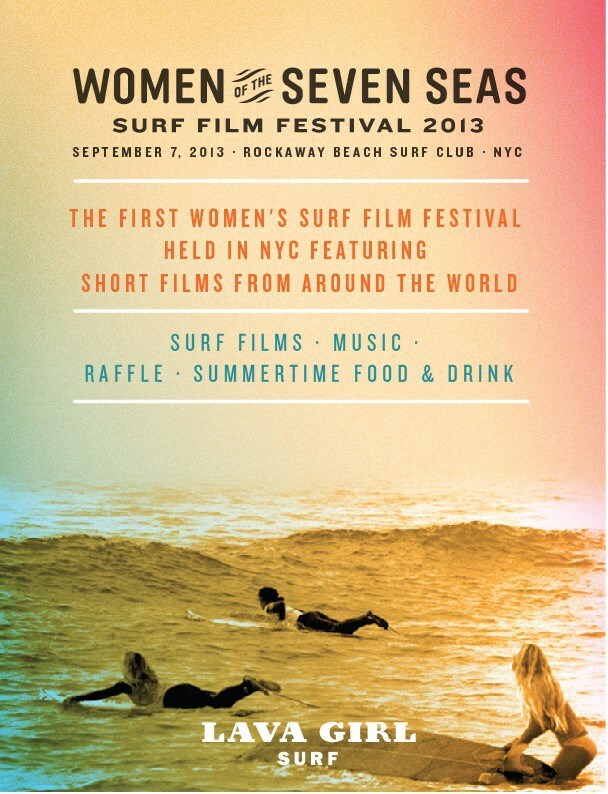 And just when we thought they nailed it with their women’s surf workshops, they now introduce Women of the Seven Seas New York’s first annual women’s surf film festival featuring shorts from around the world. The festival will showcase women who are carving their own paths through the world of surfing with a decidedly female poise and style. From the story of Belinda Baggs and her board, Evo, finding its way back into the hands of its creator, Wayne Lynch, in Australia, to the travels of three Latin Americans and one Kiwi with the world champion Sofia Mulanovich from Peru, the films highlight these women’s passion for the ocean and riding the wave — and show that they can rip!